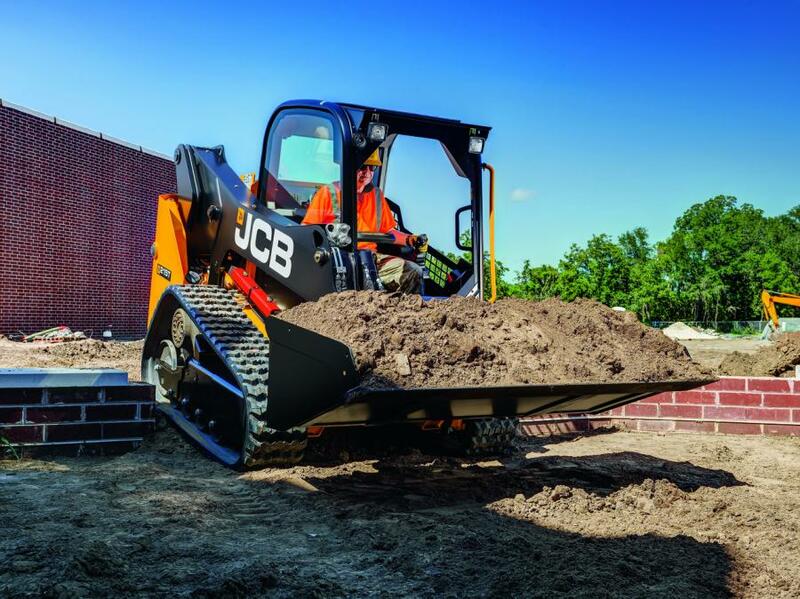 JCB’s 210T and 215T compact track loaders weigh less than 10,000 lb. (4,536 kg) and are equipped with the 74 hp (55 kW) JCB Diesel by Kohler no-DPF, no-DEF engine more commonly found in the company’s large-platform models. The 210T and the 215T are powered by the 74 hp (55 kW) JCB Diesel by Kohler engine, requiring no DPF and no DEF. The radial lift 210T model has a rated operating capacity (ROC) of 1,900 lb. at 35 percent tipping load and 2,650 lb. at 50 percent tipping load. The 215T vertical lift model has an ROC of 2,100 lb. at 35 percent tipping load and 3,000 lb. at 50 percent tipping load. The ROC of both models can be increased with an optional bolt-on chassis counterweight package, and both are capable of operating high flow attachments up to 30 gallons per minute. Featuring JCB's single boom design, the 210T and 215T provide operators with 60 percent better visibility than conventional twin-arm skid steer designs, for safer operation and easier changing of attachments and placing or loading material, according to the manufacturer. Entry to the cab, which is up to 46 percent larger than comparably sized compact track loaders, also is simplified and made safer by a wide-opening side door.